Digital Photoshop templates for Photographers. Photography marketing templates for your Studio. Digital Scrapbook papers, Holiday cards and much more! 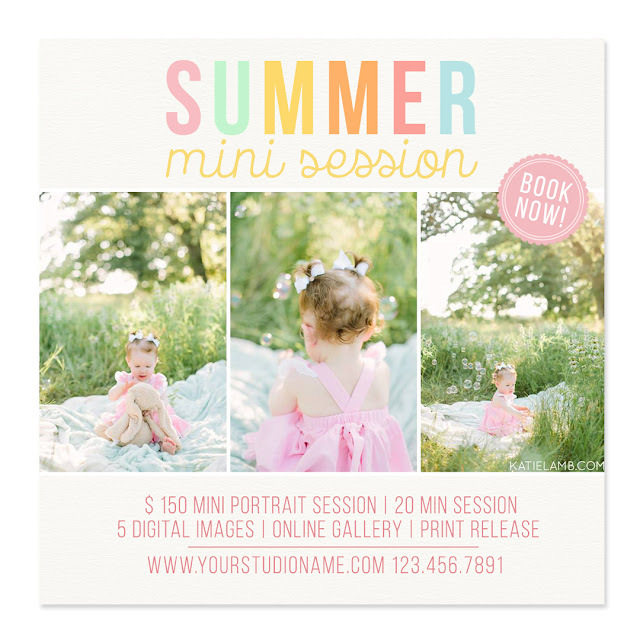 - 5x5 Mini Sessions Photography Marketing Template. - Color can be changed. - Free font names, help file included. 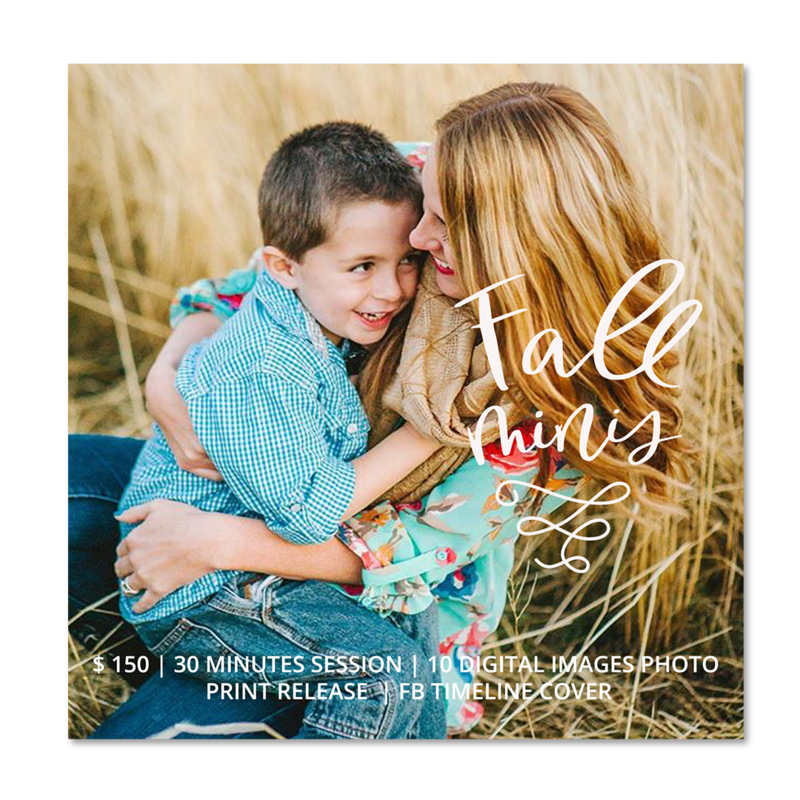 - Note: "FALL MINIS" are graphics. - Photoshop (CS3+) & Photoshop Elements (6+) required / Mac or Windows. - You will need basic Adobe Photoshop or Photoshop Elements knowledge to use this template. - You must own & have working with layer masks. - Featured photograph(s) are NOT included in template. 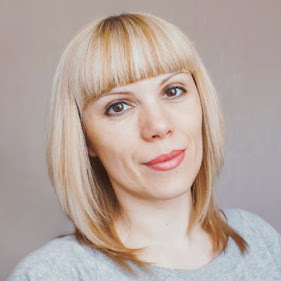 The Seventh Desire does not assume any responsibility for the fact that you could not use a template because of inability to work in Adobe Photoshop program. Please contact me if you need support or have a guestion, I will be happy to help! - 5x5 Promotion Marketing Board. 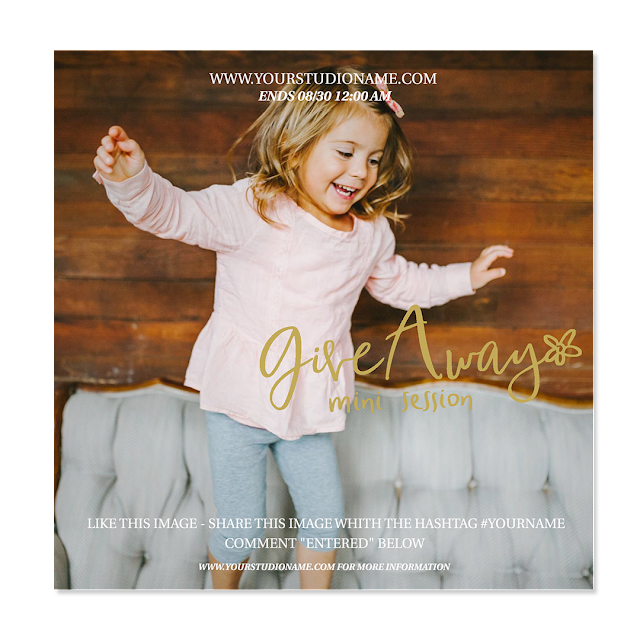 - Note: "GIVEAWAY mini session" are graphics. Color can be changed. - Perfect for social media advertising, your blog or a digital newsletter. - Photoshop (CS3+), (CC) & Photoshop Elements (6+) required / Mac or Windows. Beautiful photo daryaelfutina.ru & nhiyakayephotography.com. - Note: "MINI SESSION" are graphics. Color can be changed. Do you love one of my templates by don’t have Photoshop or would rather someone else customize it for you Customization Service HERE. Hi, my name is Julia. I am mama, designer, artist. I love every minute of my work and feel really happy, when people love the stuff, that i created.